January 30, 2019 January 30, 2019 / Julie Brook, Esq. When you have a client who is near death and wants you to prepare his or her will, you’ll have to act quickly. There won’t be time for a complete initial conference, careful tailoring of estate planning documents, and a methodical execution at your office. You’ll have to do only the essentials and in the shortest amount of time. These tips will help if you find yourself in this stressful situation. Gather information from others before meeting with client. If your client is able to speak only with difficulty, arrange to ask the client’s friends and family for as much personal and financial information as possible before going to see the client. Because such persons are likely to be beneficiaries of the client’s will, make sure to verify the information with your client. Consult your client’s medical attendants to determine the best time to visit. For example, discussing a will with a client who is under heavy sedation invites a challenge to the will on the ground of the testator’s lack of testamentary capacity. Bring a basic will with standard provisions that you can modify. In medical emergencies, you’ll probably not have the time to draft a will at your office after seeing the client. Because you must meet with the client, prepare the will, and have it executed all in the same visit, bring along a skeletal will containing the standard provisions, e.g., revocation of past wills, executor’s powers, lapse and no-contract provisions, severability clause, and execution and attestation provisions. You’ll be able add provisions that can’t be drafted until after speaking with your client. Prepare for problems in executing the will. Anticipate difficulties that may arise in executing the will of a terminally ill client outside your office. For example, if your client is too ill to sit up and write, have a clipboard ready for him or her to use. Because the client may be unable to sign his or her name in full, be familiar with the procedure for signing a will with an “X” and with the procedure permitting someone else to sign for the client at the client’s direction. See Prob C §6110(b); CC §14; CCP §17. Also, bring to the will execution persons who can witness it. 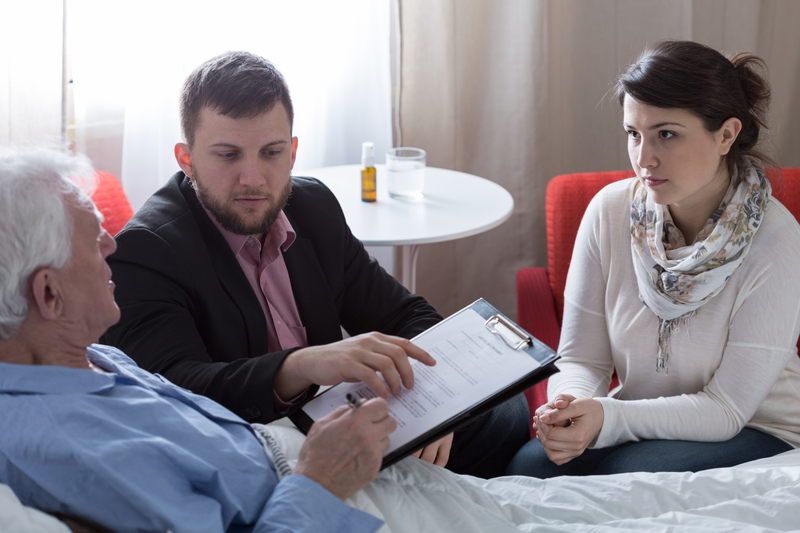 Many hospitals and nursing homes prohibit their employees and volunteers from serving as witnesses, and the persons available to witness the will for a dying client are usually beneficiaries under the will. Decompress afterwards. Assisting a dying person to do a will can take a tremendous emotional toll on you, particularly if you and client have had a long professional relationship. To make matters worse, a dying client may view your appearance as the arrival of the “angel of death.” Set aside time after the will execution to process the emotional stress it has produced. Talking with the client’s gathered friends and family is one way to do this. 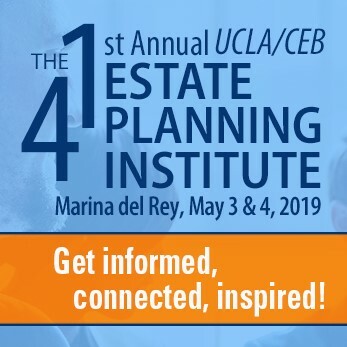 For guidance on all aspects of drafting a will and special problems that may arise, turn to CEB’s California Will Drafting.